With little fanfare, La Palina Cigars has rolled out its 2018 release for the Tobacconists Association of America (TAA) Exclusive Series, the La Palina Blue Label. The La Palina Blue Label is a cigar produced at Nestor Plasencia’s El Paraiso factory in Honduras. The blend consists of a Habano wrapper, Honduran binder, and a combination of Honduran and Nicaraguan filler. The cigar is available in one size – a 6 1/2 x 52 Toro. This is the third consecutive year La Palina has been a part of the annual TAA Exclusive Series. In 2016, La Palina Bill’s Blend became a TAA Exclusive. Last year, the La Palina Bronze Label was released as a TAA Exclusive. Both of these cigars have since become regular production lines with Bill’s Blend rebranded as the La Palina Illumination Toro. 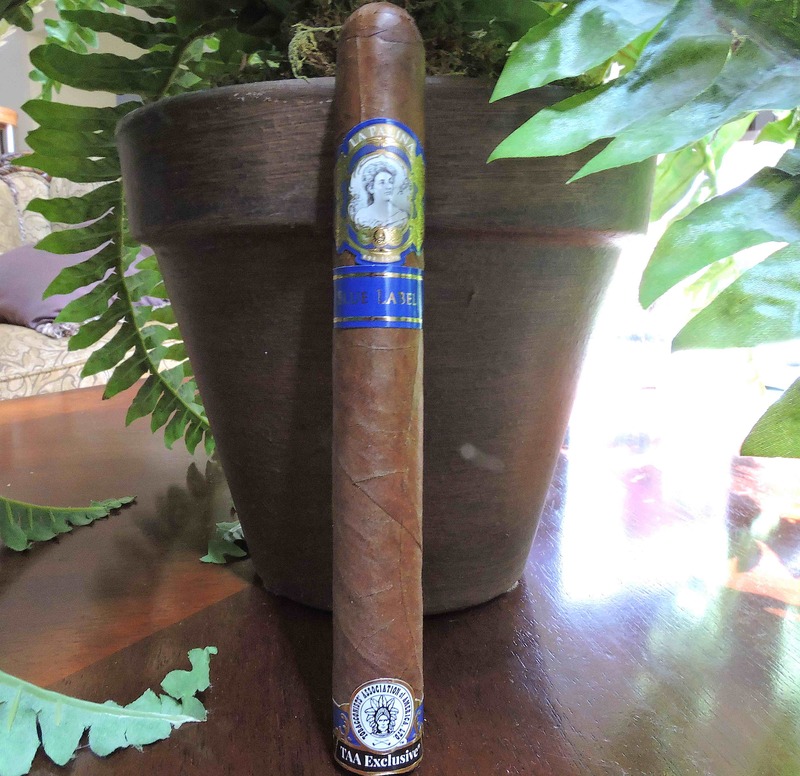 The La Palina Blue Label saw a limited early release as a stealth release. Numerous retailers have reported having a La Palina Blue Label cigar made available to them. Stealth releases are cigars that were released in limited quantities in order to beat the U.S. Food and Drug Administration’s August 8, 2016 deadline where new releases would require pre-market approval. In terms of the “Color” releases, this is the fourth release joining the La Palina Black Label, La Palina Red Label, and La Palina Bronze Label. Black Label and Red Label were produced out of the PDR Cigars factory in the Dominican Republic. Bronze Label was also produced at Plasencia in Honduras.